Here is a recent visible satellite photo of the Gulf of Mexico. 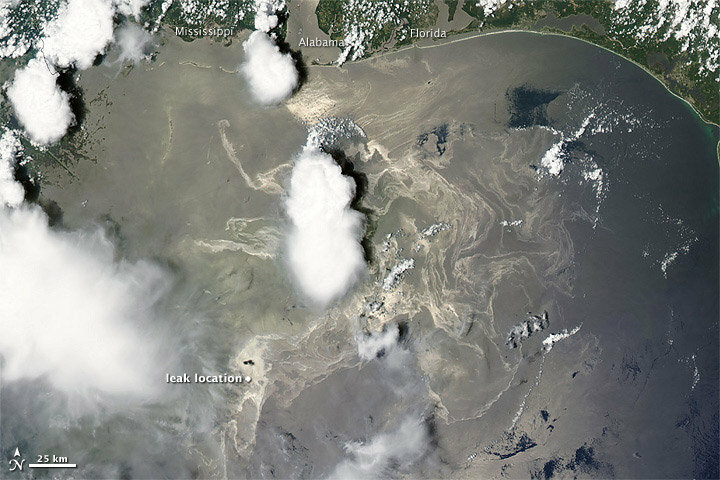 The big white splotches that look like cotton balls are thunderstorms, but you can seen the sheen and patches of oil over a huge expanse of the Gulf. This entry was posted on June 21, 2010 at 5:51 pm and is filed under Uncategorized. You can follow any responses to this entry through the RSS 2.0 feed. You can leave a response, or trackback from your own site.